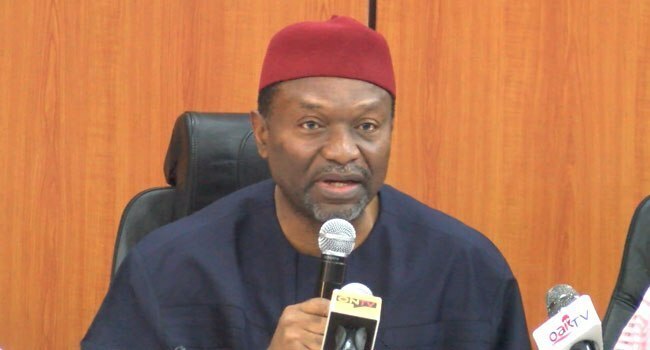 Udoma Udo Udoma, Nigeria’s minister of Budget and National Planning, has assured that despite dwindling revenue, the federal government will continue to prioritise health expenditures. According to Udoma, the constrained fiscal space occasioned by drop in oil price and disruption to crude production continues to reflect on revenues. “The present administration came to meet a very constrained fiscal space. Revenue dropped from N10.07 trillion in 2014 fiscal year to as low as N5.68 trillion in 2016. Even though it recovered somewhat to N7.17 trillion and N9.17 trillion in 2019 and 2018, it is still low compared to the amount in 2014,” he said. The minister also said that dwindling donor funding has further compounded the matters with the country transition from the status of a poor country to a developing economy. He, therefore, noted that notwithstanding the government’s tight revenue inflow, there is need to increase expenditure in the health sector added that it is collaborating with governments at all levels to on the need to maximize value for allocation to the sector. In his presentation on reprioritizing health in the national budget, Ben Akabueze, director general, Budget Office of the Federation, disclosed that the federal government has earmarked the sum of N43.5 billion for routine immunization programme in 2019.
different areas in the sector, he said. Akabueze explained that because Nigeria was operating a deficit budget it has become very difficult for the country to further borrow to fund projects in the health sector. According to him, this has placed a limitation on “how much we can borrow. To turn the tide around, he said the country much seek ways to attract other sources of funding.